No school today. It's time for Froggy's check-up at the doctor's office. At first he is excited, but then he begins to worry. What if the doctor wants to give him a shot? Froggy's many adventures, including Froggy Gets Dressed (RB# 95325), tickle the funnybones of both beginning readers and their parents. 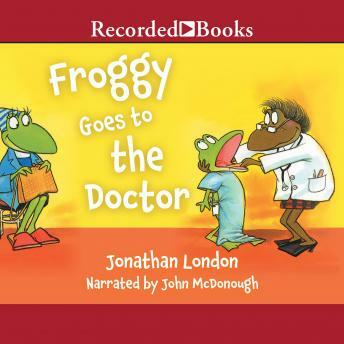 John McDonough's sunny narration highlights the energy of a young frog who always escapes trouble with a jump and a smile.